So I had to find out what she was hiding from me. I rattled the box, no sound. I sniffed it, slightly sweet. I lifted it up, not too heavy. I stuck a knife in the box and it just fell open all on it’s own! 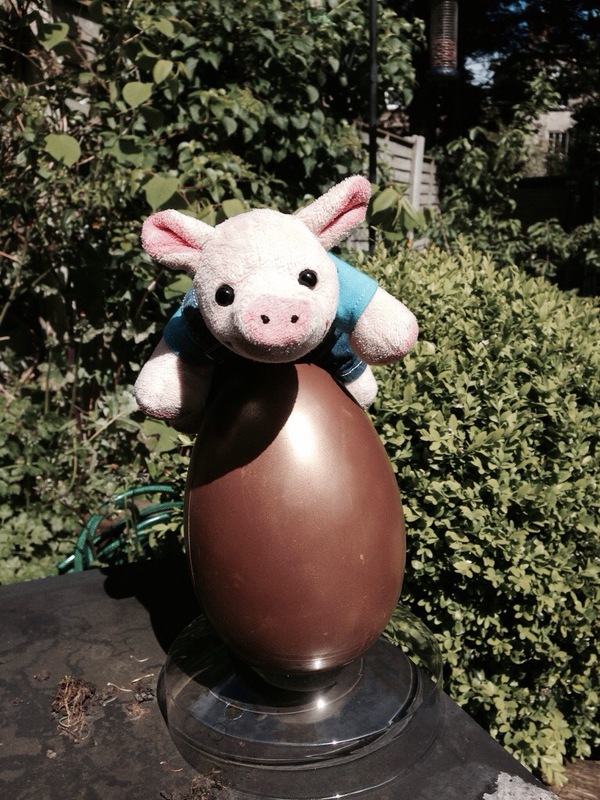 I couldn’t believe my eyes…it was a golden egg!!! A rather large one. It’s obviously a dragon egg, everybody knows that they are golden. Mummy got me my own dragon! She does listen to me after all!!! So now I have to try to get my new dragon to hatch. I couldn’t find any internet guides to hatching dragon eggs so I’m going to do what my Granny’s chickens used to do. Sit on it. I’ve also put it in the sun to speed things up with the heat. I can feel it working already, the top is getting soft. I’ll be introducing my dragon to you all by tonight!